It is hard to believe it was more than two years ago that Christchurch New Zealand experienced a devastating earthquake. February 22, 2011 will be remembered by the world, especially by those who experienced the event. The Down Under Club of Winnipeg pulled together a benefit event on April 7th, 2011, headed up by Lynley Davidson. 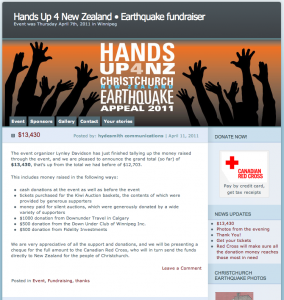 The web site was created and will live on at http://handsup4nz.wordpress.com after the expiry of the dedicated original web address. 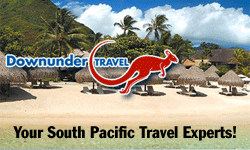 This entry was posted in Media, New Zealand, Weather, Website, Winnipeg on March 11, 2013 by Hydesmith. Our web site was down for a short time this morning because of a security breach. We had to redo some of the content that was added on the weekend, as it was lost. Please let us know if you see any other content or structure that needs attention. This entry was posted in Website on March 4, 2013 by Hydesmith. The new website has finally been launched. We hope that February 27, 2013 will go down as a turning point for our club in how the website is now will play a much larger role in helping our club stay in touch with one another, our homelands and our community here in Manitoba. The new site is very different than our previous one, so we encourage you to explore around, and make some notes. We will be tinkering in the first few weeks, adding more content, making edits and of course encouraging participation from all of you. Please send along your suggestions, comments and observations, as well as new content. This entry was posted in Invitation, Media, Website on February 27, 2013 by Hydesmith.